Living in Australia where venomous snakes are abundant and at large, your dog will more likely encounter these dangerous creatures. Thus, it is vital that we discuss how can we protect our dogs from being bitten by snakes. Aside from clearing your property to avoid attracting snakes, training your dog to stay away from them is the next important step to do. Watch the video and read on as we tackle snake avoidance training for dogs. Dogs are inquisitive in nature - if there’s a snake around, your dogs may wander a bit close and get bitten. We do not want this to happen. It would be a costly treatment roughly around $4000 to $7000 for a snake bite treatment and survival is not 100% guaranteed. So, preventing this from happening is the best thing to do - it would save you a lot of money and grief. 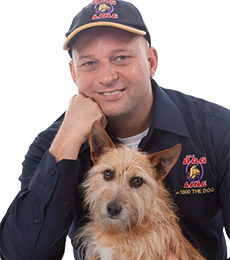 Thankfully, Seth Pywell of Perth Dog Trainers together with Marcus of Slithers & Slides introduced the Snake Avoidance Training to the general public in Australia. Also, experts say that using a remote dog training collar to teach a dog to stay away from snakes is the most effective method available. How Do I Train My Dogs Using Remote Training Collars to Avoid Snakes? A bit of a caveat, we recommend that you seek the help of a professional dog trainer if you want your dog to undergo snake avoidance training. 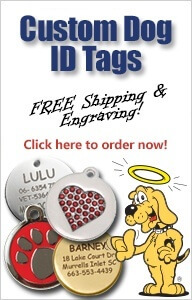 Contact us - The Dog Line, so we can help you find one near you. Now, this proven training method will help your dog to remember that snakes should be avoided at all times and in all circumstances. 5. Rubber snakes, dead snakes and snake skins DO NOT guarantee success in training your dog to avoid real-life and on-the-move snakes. 6. Refresher Snake Avoidance Training at least once a month is highly advised. The use of Remote Dog Training Collars in teaching a dog to stay away from snakes is the most effective way of sending the message to the dog - it’s immediate feedback (such as the static correction or zap pulse), helps the dog understand that the ‘zap’ came from the snake. Dogs are quite superstitious - if the training is done consistently, persistently and properly, they will eventually associate each correction from the remote trainer to the snake or to any indication that a snake is present in the area. Rewards are crucial in any dog training - they come in verbal appreciation, toys, pats and mostly food or treats. Many people argue that they would rather do reward-based training with the help of clickers (usually used in marine mammals training) than using remote dog training collars. While this is helpful and effective in other sorts of obedience training for dogs, reward-based training alone (or even with the use of clickers) may NOT be that effective with snake avoidance training for dogs. There’s just too much at risk - without imposing to your dogs that snakes are harmful (hence the use of static zaps), the sense of urgency to avoid snakes will never be learned effectively - your dogs will most likely get bitten. Dogs have to understand that the correction or stimulation (usually a static zap) is caused by the presence of a snake - this kind of stimulation effectively teaches dogs to stay away from all snakes at all times. Now... during the training, if the dog does avoid snakes, the use of food rewards definitely helps in reinforcing the snake avoidance behaviour to the dog - makes the training even better. ‘Collar-wise’ dogs know that the e-collar brings the discipline and control - once it’s on, these dogs will display the best possible behaviour they know their owners or trainers want. Then, as soon as the collar is off their necks, they seem to revert back to unwanted behaviours such as nuisance barking, escaping boundaries, pulling on leads, chasing people, digging up garden beds, etc. A ‘collar-wise’ dog is in a higher risk of snake-danger - since you can’t always have your dog wear the e-collar and you can’t always hold the remote. ...and a ‘collar-wise’ inquisitive dog will surely get near to that snake (thinking that he/she is safe from any correction because the collar is off). Thus, it is VERY important to reinforce ‘superstition’ in these cheeky dogs. • Continue with the obedience training (with or without the regular collar) and this time, your dog will be able to associate each correction to the unwanted behaviour (and not to the e-collar). This is the most important principle in snake avoidance training for dogs. This simply means that dogs have to be trained to avoid 10 different types of snakes in 10 different locations. This helps dogs remember that ALL snakes have to be avoided at ALL times. If only 1 or 2 types of snakes are used during the snake avoidance training, chances are, some dogs will think that other type of snakes are harmless and worth checking - this should never happen. Now, before you judge these snakes or any other type of snake, always remember that in most cases, for the dog it’s play… but for the snake, it’s life or death - this is the common reason why dogs get bitten by snakes. This is also the main reason why snake avoidance training for dogs with the use of remote dog training collars is vital. Snake avoidance training is basically teaching dogs to associate the low-level static correction from a remote dog training collar to any type of snakes - so dog will avoid these creatures. The training includes visual and odour components - practicing that when a dog sees or smells any type of snake in any location (10 by 10 rule), the dog should IMMEDIATELY avoid all contact. Then, if the dog chooses to avoid the snake right away during the training session, a treat reward is best given to reinforce to the dog that such avoidance behaviour is what makes the owner/trainer happy... and the static correction is caused by the snake nearby. We always have to remember that investigation is usually a dog’s natural and initial response when they see or smell a snake - this is according to Seth Pywell of Perth Dog Trainers. So, snake avoidance training teaches the dog that investigating leads to consequences (static zap or correction) and if they avoid the snake, it brings food rewards. According to Emma “the snake wrangler” of Slithers & Slides, snakes do not create homes - they journey from one place to another to hunt and feed. Thus, keeping your yards clean - free from tall grasses, food scraps, insects and rodents that may attract snakes, is very helpful. However, if you live near rich bushes and risky (snake) areas, the best thing that you can do is to safely contain your dog in your property with a dog containment system. Please note that this invisible dog fence system does not deter snakes away from your property but it greatly helps in keeping your dog safe inside your property - prevents your dog from escaping and wandering to bushes and risky (snake) areas. 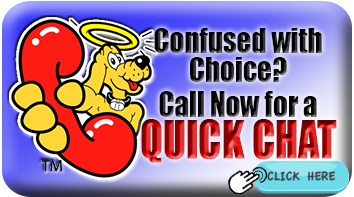 If you need help with Remote Dog Training Collars, give us a call on our 7-Day Hotline at 1-300-(THE-DOG) or 1-300-843-364. If you need a Snake Avoidance Trainer for your dogs, fill-in this form so we can help you get one near you.